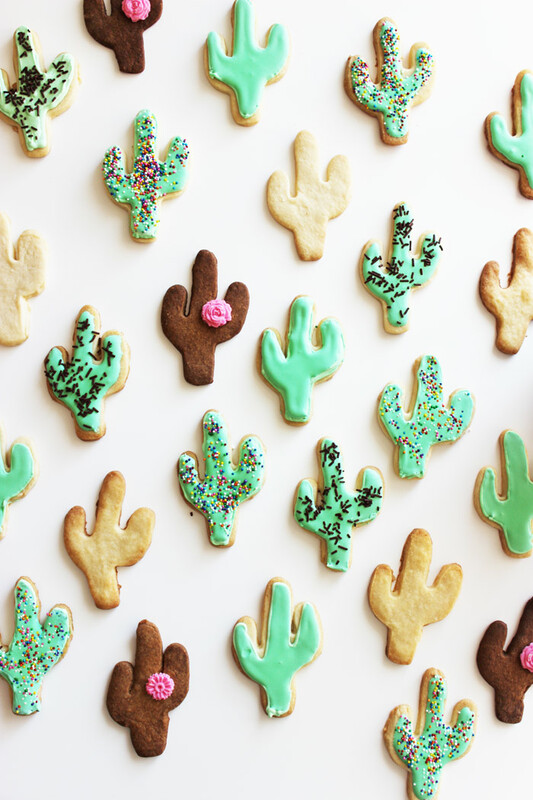 If you follow us on Snapchat (poppytalkcom), you may have seen us making some cacti cookies over the weekend (even burning some)! Psssst! The dark ones are not chocolate, they're burnt! But hey, we'll make the best of it! 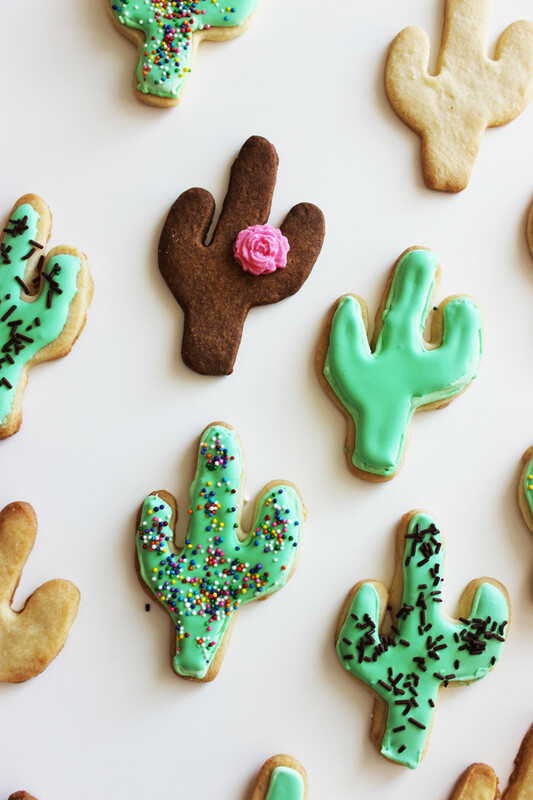 Next time though we will make chocolate ones! Sometimes the best ideas come from mistakes. 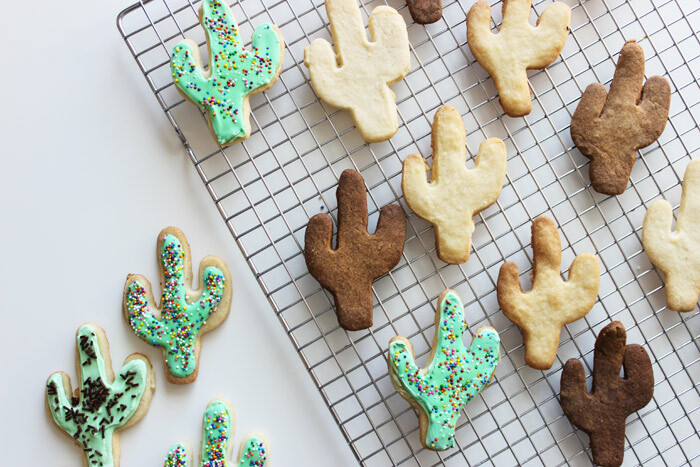 So, Cinco de Mayo is just around the corner, and we thought these cacti cookies would be fitting to celebrate. We used the recipe Janis Nicolay shared on our blog from Butter Baked Goods (posted here - circa 2013). 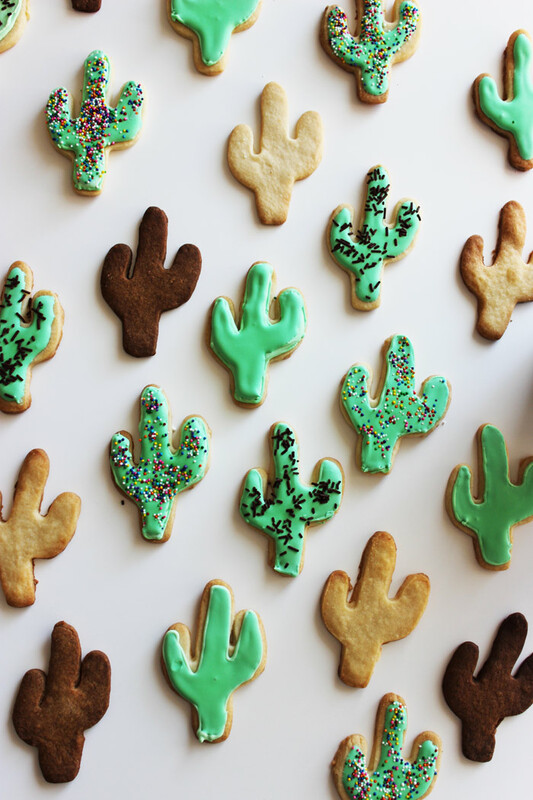 But to make things easier, we copied the recipe to this post below (check it out after the jump)! If you wish to add candied flowers to them, our recipe for those are from our Instagram cake recipe HERE. To make different colours. We made a few variations. To make a peach colour, we added a bit of orange food colouring (1 drop) to about 10 pink candy melts. We made two different shades of yellow, for the pale yellow add yellow food colouring (1 drop) to 10 white melts. For the darker, we added about 3 drops to the white melts. For the blue we added 1 drop of blue to about 5 white candy melts. For green mix 1 drop of blue and 1 drop of yellow. 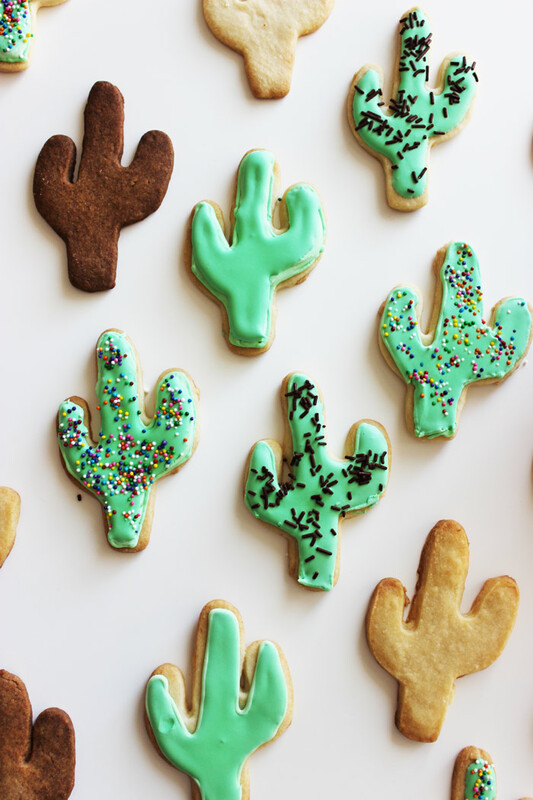 You can make them a bit darker by adding more drops of each colour. Pour into the flower molds and let sit until cooled (approximately 5 minutes if you put them in the fridge). Pop out and make more! And that's it! Saw the picture on Instagram @simplestylishmakes and tracked it to you. Love it. Love it so much I have copied it to my blog, (credited you, mind you!!). If not I will remove your content.